BSP Consulting is celebrating the news that a trio of projects involving the company have been announced as finalists in the ProCon Leicestershire Property and Construction Awards 2018. 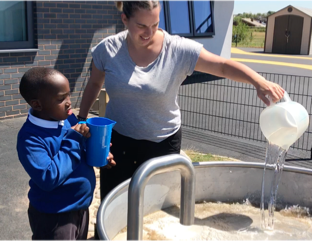 Learning with Water: SuDS at Birkett House School has been shortlisted in the Infrastructure Award category of the awards, after being nominated by BSP. A bold, inspiring, exciting and educational Sustainable Drainage System (SuDS), it was created and developed as part of a new-build project to relocate Birkett House School from its previous site to a new location sharing a campus with Wigston Academy, at Wigston, Leicester. 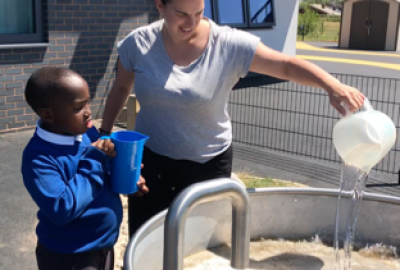 Birkett House School is a co-educational school for 175 pupils aged four to 19 with special educational needs, catering for youngsters with a range of special educational needs, from profound and multiple learning difficulties to a moderate disability. The SuDS scheme includes a drainage system, play gardens, a wetland site and wildflower grassland. BSP Consulting was the main designer for the drainage and worked closely with DSA Environment + Design. The company used its engineering and drainage expertise to transform the DSA vision of a biodiverse, learning space focused around water into a viable, effective and impressive sustainable drainage infrastructure scheme. Other members of the team involved in the Birkett House School project for Leicestershire County Council included Willmott Dixon and A+G Architects. The school itself has also been named as a finalist at the ProCon Leicestershire Awards – in the Large Non-Residential Scheme of the Year category. BSP provided engineering services for the building, along with the SuDS scheme. In addition, BSP was part of the team that built the Get Busy Living Centre – a state-of-the-art rehabilitation facility at Burrough-on-the-Hill for those who have suffered life-changing injuries through sport, the brainchild of former England Under-21 rugby player Matt Hampson. The centre has also been named as a finalist in the Small Non-Residential Scheme of the Year Award. The winners will be announced at a celebration dinner in Leicester on 15th November 2018.